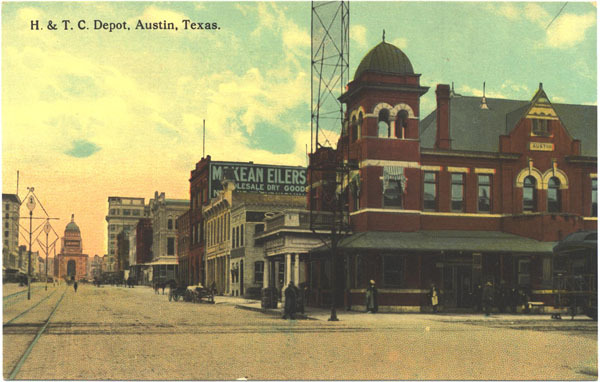 AustinPostcard - H. & T. C. Depot, Austin, Texas. Postcards > Railroads & Streetcars > H. & T. C. Depot, Austin, Texas. H. & T. C. Depot, Austin, Texas.